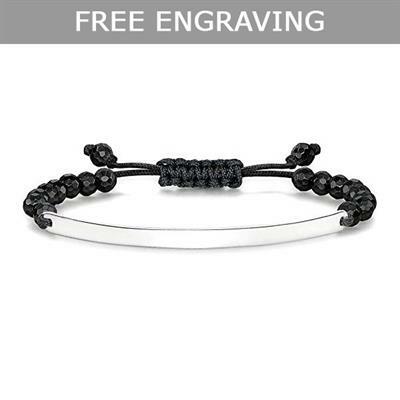 This stunning bracelet is part of the Thomas Sabo Love Bridge collection and is made with eye-catching black obsidian stones and a 925 sterling silver bridge. This semi-precious stone has a faceted cut for a soft sparkle. With a cord love knot fastening it has an adjustable length that will fit most wrists.